President Uhuru Kenyatta's attempt at mediation in the Africa Independent Pentecostal Church of Africa (AIPCA) failed miserably. Twenty meetings, 12 million shillings later, two factions in the church continue to knock heads. 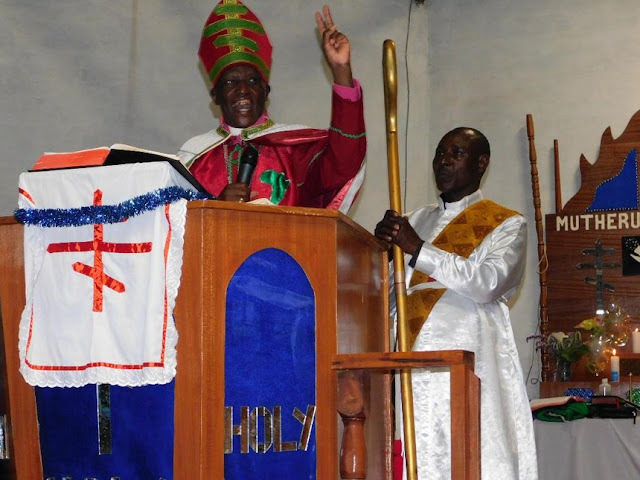 According to The Standard, two sides of the divide are led by the Archbishop Julius Njoroge Gitau (elected in 2017), the other led by Archbishop Fredrick Wang'ombe, respectively. Sources report that Uhuru has kept pushing the two leaders to talk and agree but both have remained stubborn. This led to the failure of the negotiation talks. Two church leaders, Bishop Peter Njenga, formerly of Mt Kenya South Diocese and retired Archbishop Lawi Imathiu of the Methodist Church came to the table to help negotiations. The president had good intentions but the crisis in AIPCA is a hard nut that can only be cracked by an insider with a good grasp of this church. The mess started when Archbishop Fredrick Njoroge won the poll but the outgoing head Amos Kabuthu coronated Archbishop Wang'ombe. Interestingly, DP Ruto attended Wang'ombe's inauguration and Uhuru Kenyatta attended Njoroge's installation at Kasarani. In negotiations held in Muranga county, they held 20 meetings and the team of 20 members (10 a side) each received an allowance of 30,000 shillings a day.